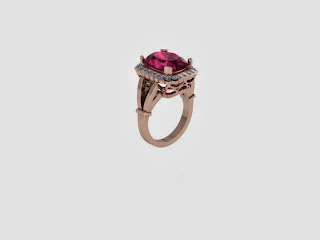 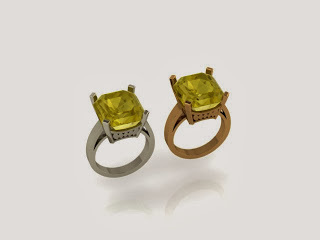 Leif Benner is a designer/goldsmith with a retail jewellery studio in Toronto. Through this blog he talks all things jewellery, including trends, events, stuff he likes, as well as learns more about what readers like. 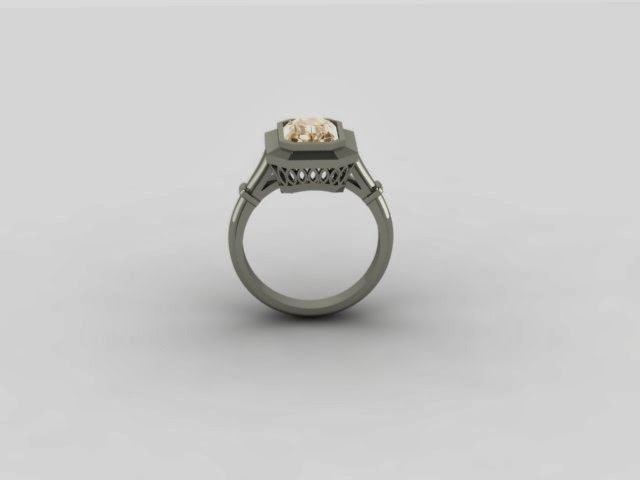 He also shares his process in making his hand-crafted jewellery, from inspiration and design, to prototyping, casting, and finally stone setting and finishing. Leif finds the process fun and satisfying, and hopes you find it interesting too (and maybe even a little educational). 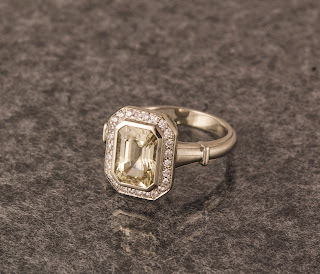 The summer is behind us and wedding band season has transitioned nicely into a very interesting group of engagement rings. This group is not afraid to be noticed! 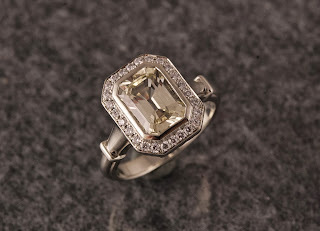 Big stones, great colour, and lots of diamonds. 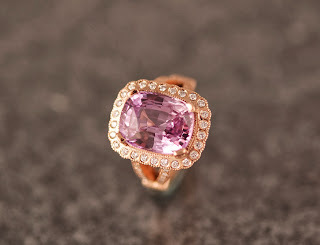 Ring #1 is a 7.78ct sapphire with a pinkish-lavender tone and it is delicious! 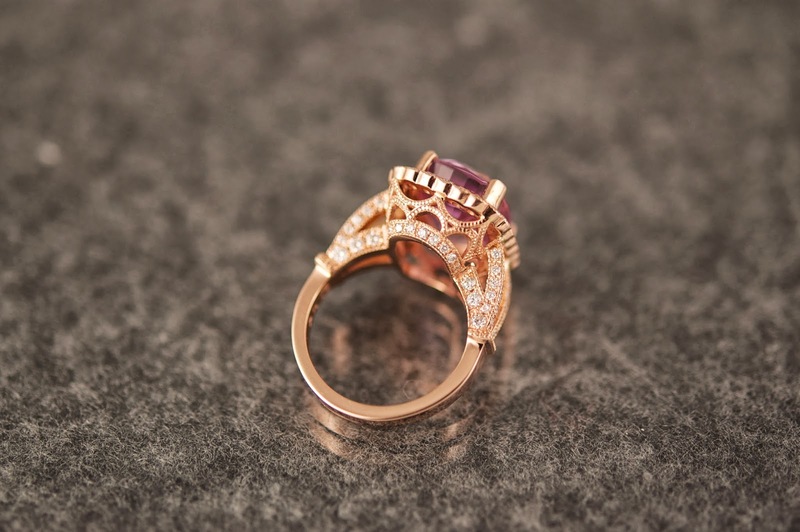 Set in red gold it's going to get a second look from every person she shows it to. 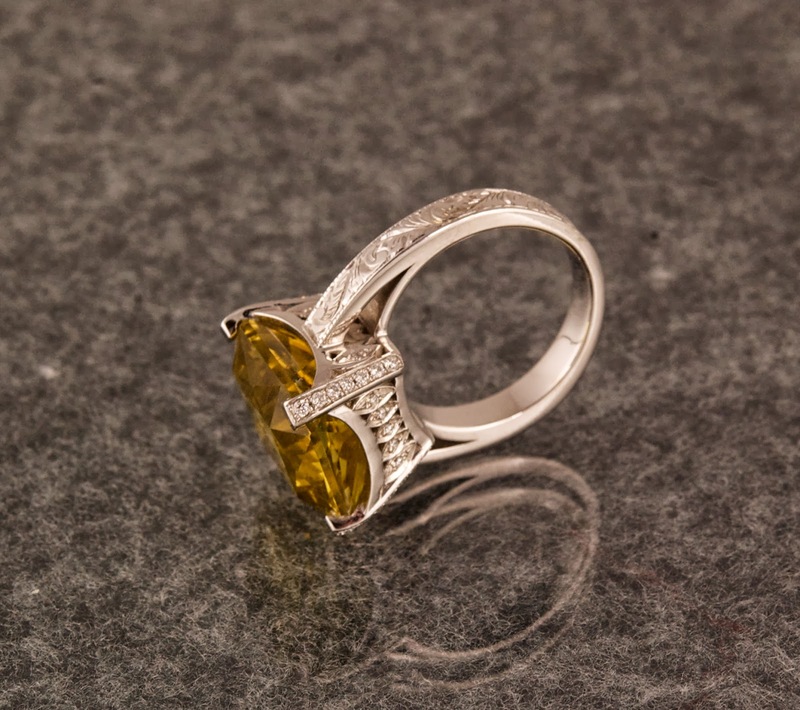 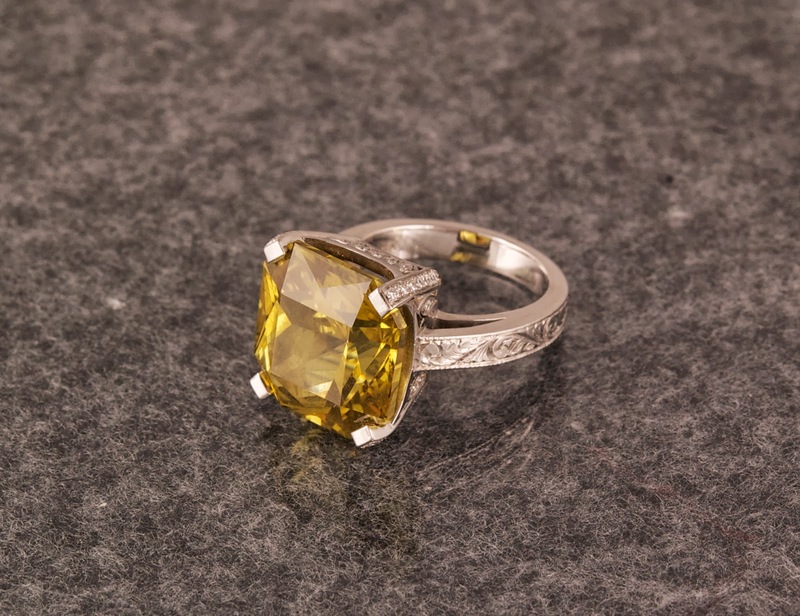 Not to be outdone, Ring #2 is a 12.2 ct chrysoberyl set with pave leaves and hand engraving. 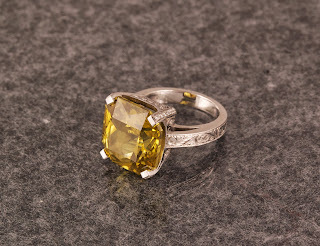 It has a unique greenish yellow colour that reminds me of a perfect mix between lemons and olive oil. 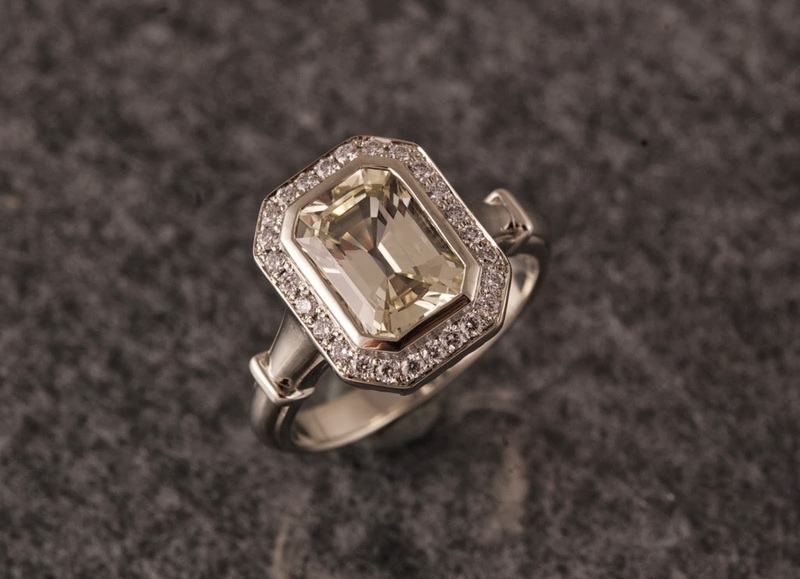 Finally ring #3 is a spectacular 1.84 ct pale wheat coloured sapphire bezel set in an art deco inspired ring with a pave halo. I put little filigree leaves in the gallery.